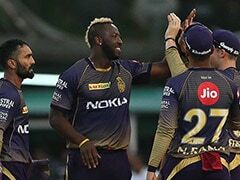 IPL 2019, Kolkata Knight Riders vs Kings XI Punjab Highlights: KKR scored 218/4 in 20 overs. 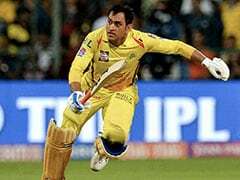 IPL 2019 Highlights Updates Between Kolkata Knight Riders vs Kings XI Punjab, straight from Eden Gardens, Kolkata. That brings an end to match 6 between Kolkata Knight Riders and Kings XI Punjab in Kolkata. Thank you for joining us for the IPL live coverage. Andre Russell for his all-round performance is adjudged the player of the match. 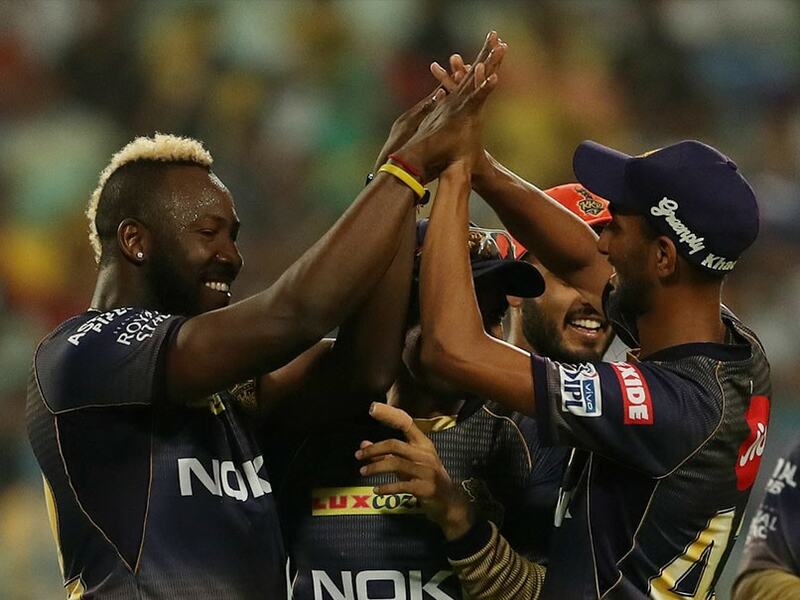 Kolkata Knight Riders beat Kings XI Punjab by 28 runs as they win two back-to-back matches at the Eden Gardens. Mandeep sweeps the ball towards fine leg. This boundary brings up the 50-run partnership between Mandeep and Miller. Mandeep starts the over with a boundary as he hits the ball between deep square-leg and deep mid-wicket region. KXIP will look to decrease the margin of defeat as much as possible. Miller exposes the wicket as he goes inside-out to hit his 3rd maximum towards deep cover. Miller brings up his 9th IPL half-century. Mandeep square cuts the ball towards the third man region. Ferguson starts the 19th over with a wide down the leg-side. Miller upper-cuts the ball over Karthik to finish the over with a boundary. Miller hits the ball straight down the ground. Kings XI Punjab are 152/4. They need another 67 runs to win from the last three overs. Miller clears the backward point and gully fielders to guide the ball towards the third man region. The new batsman Mandeep Singh hits the ball straight down the ground. Agarwal is clean bowled by Piyush Chawla. Russell pulls the ball inside the ropes but his right leg was touching the ropes. The umpire awards the boundary to KXIP. Substitute fielder Rinku Singh makes a full-stretched dive but fails to take the catch. Kuldeep Yadav comes in to bowl the 15th over. Mayank Agarwal brings up his 4th IPL half-century. KXIP are 116/3. They need 103 more runs from 42 balls to win. Miller and Agarwal hurried for that extra run and get it ultimately. Agarwal clears the ball towards deep square leg. Piyush Chawla has been introduced into the attack by Karthik. Back-to-back boundaries for Agarwal as he guides the ball towards third man. Agarwal hits the ball straight down the ground. This time Miller hits the ball towards deep square leg. Lockie Ferguson fails to take the catch but saves the boundary as he pulls the ball inside the ropes. Sweet sound from the bat as Miller dispatches the ball towards deep mid-wicket. Kuldeep bowls one wide off the off-stump. Agarwal hits the ball towards backward square leg as the fielder running from deep square leg fails to stop the boundary. Sunil Narine has been brought into the attack. He will be bowling the 10th over. 9 overs have been bowled. KXIP are 70/3. Mayank is unbeaten on 27 off 18 while Miller is batting on 6. Miller hits his first boundary towards backward square leg. The diminutive Sarfaraz Khan top-edges as Karthik runs to his left to collect the catch near short fine leg. Sarfaraz departs for 13. 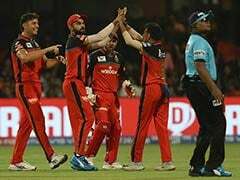 KXIP are 60/3 in 7.3 overs. Sarfaraz hits the ball behind point to get his 2nd boundary.